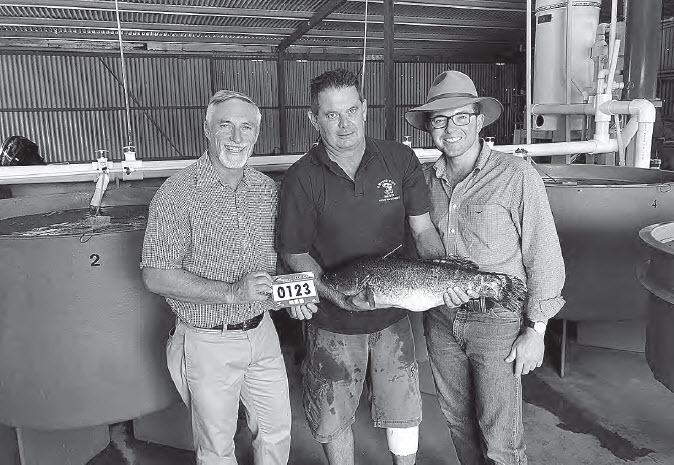 MEMBER for Northern Tablelands Adam Marshall has proudly lauded Inverell’s upcoming inaugural ‘Cod Cash’ event on the floor of Parliament, delivering a rousing invitation to the world’s anglers to drop in a line at Copeton Dam for their chance at $25,000 in cash prizes. In the Private Member’s Statement in the Legislative Assembly, Mr Marshall said he was ‘thrilled’ at the prospects for the world-first event, which is expected to bring more than a thousand visitors to the Inverell area. Each tagged fish will offer a significant sum of prize money, with one lucky angler to bag a Murray Cod worth a princely $20,000. Mr Marshall told his parliamentary colleagues that the competition, supported by Inverell Shire Council and MO Tackle and Outdoors of Inverell, would build the prestige of the ‘renowned’ Copeton Dam and make a splash in the local economy. Cod Cash will be held between the 14th and 22nd of April and also offers a $500 prize for the best photo taken at the event. Mr Marshall said he would love to see the event become an annual fixture.